I can't seem to comprehend that when Morgan State University was searching for someone to guide their football program out of the doldrums of mediocrity. Why the primary focus of the search didn't start and end on Jericho Park Road in Bowie, Maryland? Coach Damion Wilson, currently the #1 rated college coach in the state would've been the perfect candidate to become the head coach. Coach Wilson should've been hired as early as 2014 as Coach Hill-Eley's replacement rather than hiring Lee Hull. That should have been an easy decision Coach Wilson had coached in SWAC at Texas Southern University and Prairie View University as well as having two successful winning at Bowie State University. 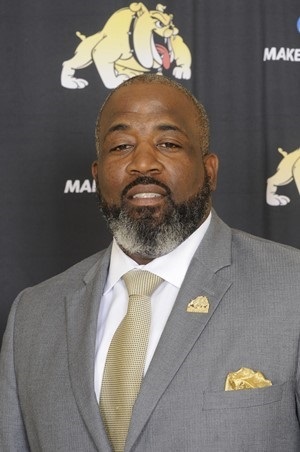 Although Bowie State University plays in the Division Two CIAA, Coach Damion Wilson had coached in Division 1 2A schools in the SWAC. One thing that Coach Wilson has done at Bowie State University is foster an excellent relationship with high school coaches in the DMV. These efforts to strengthen relationships have led to Bowie State University is able to do one thing that Morgan State University hasn't been able to do successfully recruit the fertile high school players who reside in the DMV. While Lee Hull spent one year at Morgan State University and left the football program in shambles due to academic failings. Coach Wilson has proceeded to create a football juggernaut down the road from Morgan State University. While I don't have a great deal of skin in the game related to the Morgan State University football program. I am a proud alumnus, Class of 1977, who wonders why the football once the symbol of excellence has been mired in mediocrity for almost 4 decades. Damion Wilson, same initials DW as current Morgan President David Wilson should have been rolled out a red carpet stretching from Jericho Park Road to Coldspring Lane in 2014. Those who chose Lee Hull made a big mistake not hiring Coach Wilson in 2014. The new AD, Edward Scott had a chance to erase that mistake when Coach Farrier was replaced last spring. However, Morgan State University hired Coach Ernest T. Jones from Coach Farrier's staff to replace Coach Farrier and guide the football program. While down the road in Bowie, Maryland, Coach Damon Wilson is following the mantra of the late Al Davis, just win baby. I am sure that given the opportunity to build Morgan State University's football back to levels of excellence. Coach Wilson would've taken on the challenge that currently confronts my blue and orange grizzlies. Yeah, my Morgan State University Grizzlies beat North Carolina A&T this season but we have proceeded to only win against Savannah State University a team with just as bleak a record of futility as Morgan State University. More than likely Morgan State University will only win one more football game this season Delaware State University on Senior Day 2018, not because of the quality of Morgan State University's football team but due to the absolute ineptness of the current Delaware State University football program. The time is now for Morgan State University to hand the reins of a former institutional athletic power to another DW. The current DW on campus has absolutely changed the fortunes of our Morgan into an academic giant. 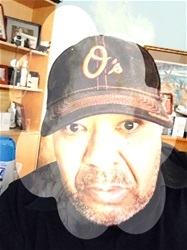 Why wouldn't the same formula work with another DW, Damion Wilson to turn around the fortunes of our historical treasure Morgan State University Football?